Insert crisps to continue. 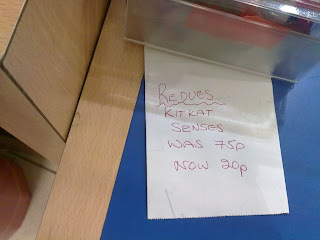 : Not “reduced” then? Spotted in a shop in a motorway service area. Words fail me.